According to the experts, as we begin to creep up to the ripe old age of 50, most of us will in some way have a form or degree of impaired memory. As we start to age, our ability to recall information can start to decline. There is a bit of good news to be had though, because there are actually ways to lessen the memory loss or avoid it altogether. In fact, a person can get smarter as they get older. You may be thinking at this point, this stuff sounds just a bit farfetched. But first have a read of the rest of this article and then see what you think. What Happens to Your Brain as You Get Older? A study was conducted to test the memory of people from different age groups. The task of the study was to get the participants to read out loud a list of 75 words 5 times, and memorize them as they read them out. When the results were revealed it showed that the 18-year old participant scored 54, the 45-year-old participant scored 47 while the 65-year-old person only got 37. Dr. David Weeks, who is a neuro-psychologist at the Royal Edinburgh Hospital, says that this decline in memory is not caused by death of brain cells. Human beings lose as many as 10,000 brain cells each day by the time they reach 40 years old. However, studies reveal that most of the memory problems that the older population has is largely caused by lack of motivation, poor concentration, stress and anxiety. Another reason why people who are getting older experience memory decline, is because their blood circulation tends to reduce or slow down as they age. This in turn causes a reduced supply of oxygen into their brain cells. That’s why experts recommend that people must exercise their bodies as well as their brains on a fairly frequent basis. A thirty-minute exercise session carried out at least three times a week can do a great job in keeping your mind on the sharp side. This is down to an individual’s brain working a lot like a human muscle. It needs to be used on a regular basis for it to function at an optimum level, so try to get yourself into the habit of giving it a work out, in other words “use it or lose it”. Loads of people think that the performance of our brain will only be at its peak while we are still young and that its ability naturally declines as we get on in life. But, if we really want to experience an improvement in our cognitive health we must debunk such a limiting belief. Remember getting older is not a disease. 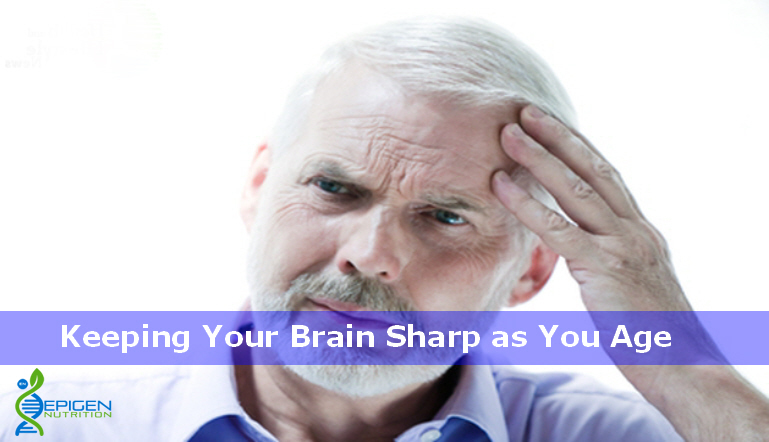 Your brain’s performance does not have to go into decline just because you are getting older. Just about everyone should be conscious about maintaining the health of their brain. And lifestyle choices must also be aimed towards improving its performance no matter how old you happen to be. We must all remember that age is not a sole predictor of impaired cognitive abilities in mature people. Can Our Brains Performance Improve as We Age? It is true that we lose some of our cognitive skills as we age such as the quantity of learning capacity and speed in learning new things. However, experts say that a healthy aging brain still has the capability to improve as it continues to draw on its vast knowledge acquired through the whole of life. Add to that all the wisdom gained from experiences that play a crucial role in critical reasoning and decision-making skills. Research has shown that the majority of individuals aged 85 years and even older show great potential for making sound decisions, learning new things and of manifesting a well-preserved intellect. As we grow older we have to keep in mind that our brain is capable of adapting to more or less whatever we use it for and how we use it. Therefore, we should also make a conscious effort towards knowing what habits are going to help improve the performance of our brain and which habits are going to be detrimental. Sticking to healthy lifestyle choices, making sure that we get the right nutrition our body and mind needs and avoidance of toxic habits will definitely help age-proof the brain while also contributing to increased life expectancy. Next articleIs Your Body Vitamin Deficient?